Laugh More and Award Night. Inauguration of Members of Future Minds Production. 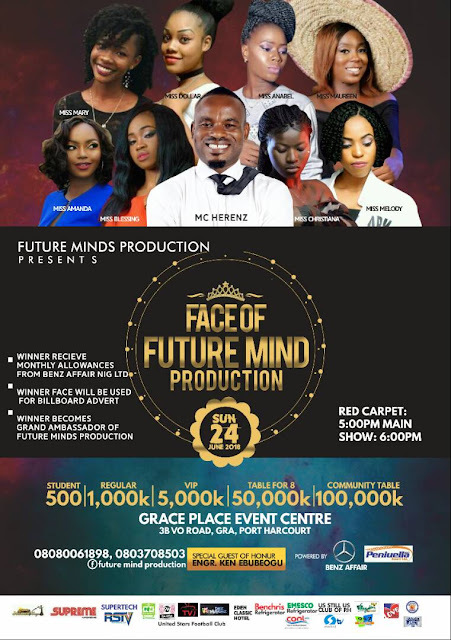 Face of Future Minds Production. 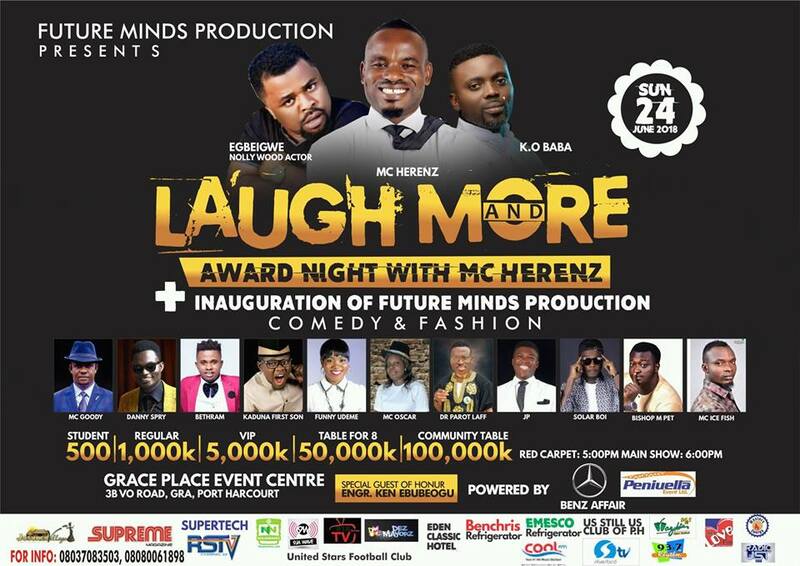 Laugh More and Award Night is an annual event which has always brought laughter to the masses, sponsored by Mc Henrez who happens to be the founder/ Director of Future Minds Production. And it has been a routine for the host coupled with fans and other acquaintances to always visit the Orphanage Home some weeks to the event. Venue:Grace Place Event Centre. 3, Evo Road, GRA Port Harcourt. Time:Red Carpet, 5pm, main show: 6pm. Tickets are on sale now! Students:#500 Regular:#1000 Vip: #5000 Table for 8: #50,000 Community table: #100,000. Hurry to get yours while it lasts. Laugh More and Award Night show will make you laugh and forget your sorrows. Don't miss it!